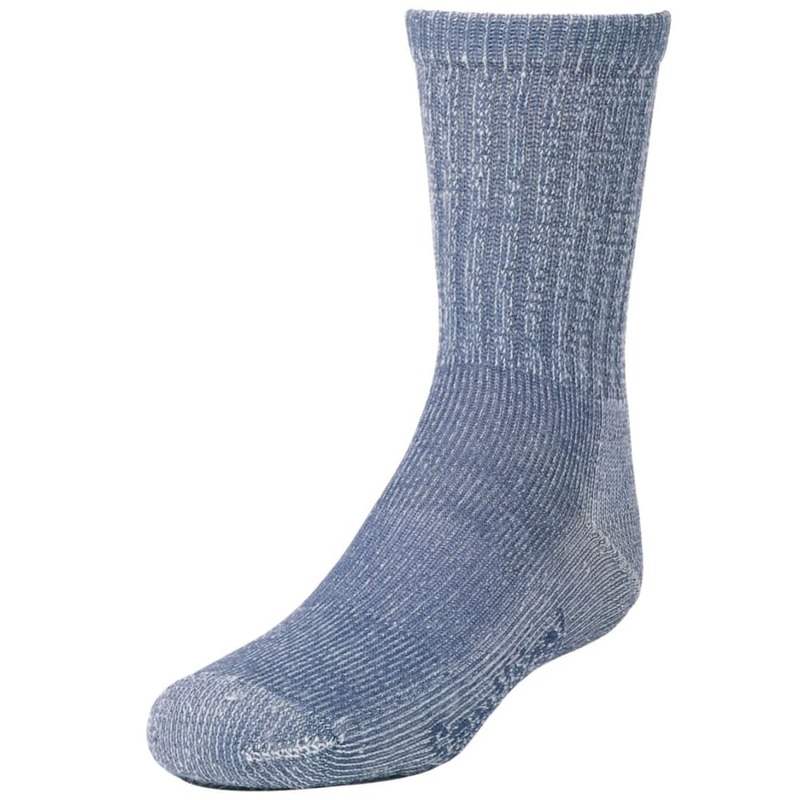 This smaller version of SmartWool’s classic adult hiking sock provides enough comfort for your youngest outdoor enthusiasts to explore varied terrain. Delivering the right degree of all-around comfort in warmer weather, its construction utilizes a merino wool blend for natural moisture and temperature regulation, while lighter cushioning helps them reach their stride as they’re walking along uneven terrain and roads. For a chafe-free, ergonomic fit, arch support and flat-knit toe seams align right with the foot’s shape and cut down on irritation.